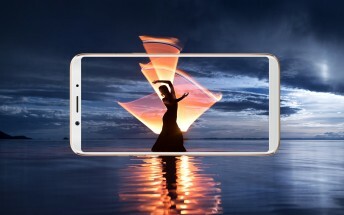 The 6GB RAM variant of the Oppo F5 smartphone is now available in India. The model comes in black and red color options and is already offered by etailer Flipkart. Pre-Order #OPPOF5 6GB exclusively on Flipkart (https://t.co/gqcJ2C8TYy) or visit offline stores near you. The 6GB RAM Oppo F5 costs INR 24,990 ($385). For comparison, the 4GB RAM variant, which launched in the country earlier this month, costs INR 19,990 ($308). Pre-order window closes December 1, with shipments beginning the same day. However, currently only the black model is available. The Chinese company says the red variant will be available through Flipkart around December 9. Meanwhile, both colors are available to pre-order through offline channels (OPPO showrooms and some partner stores).